Found 4 guides for Kuari Pass trek. In Kuari Pass, winter and summer are wonderful contrasts. The period of winter starts in December up to March. During this period, the weather is freezing and harsh. The mountain tops are covered in snow. For a moment, you would think that the environment is never green in Kuari Pass. Camping and hiking are great during the winter period as well as the summers here. 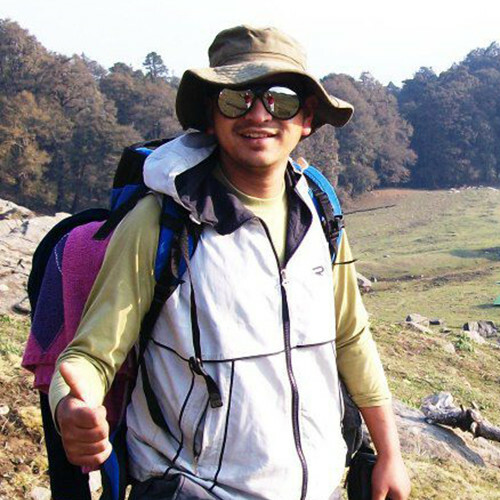 The Kuari Pass trek can be started from three points, Joshimath or Ghat or Tapovan. The route from Ghat takes about 6 days and is the longest one. Kuari Pass Trek is one of the most beautiful treks in the Indian Himalayas. The trek route is also called Lord Curzon Trail, as Lord Curzon has taken up this trek in the year 1905. On this trek route, you get vast panaromic views of the majestic himalayan peaks of Nanda Devi, Dronagiri, Hathi Parvat being some of the prominent ones. Best Months: The Kuari Pass Trek can be done in any month of the year. The trek gets difficult in the winter months. In the Monsoon months, the trek can get slippery and dangerous, though some trekkers love the monsoons for the pristine green colors it presents. Summer and Post monsoon, the trek is easier and good for beginners. There are three different starting points for the Kuari Pass Trek, below is one of the routes for this trek. The local guides can customize these itineraries as per the requirements of time, distance and elevation. Contact sherpafeet or one of the local guides to speak to an expert. Altitude: 8,800 ft. to 10,500 ft.
Altitude: 10,500 ft. to 11,000 ft.
Altitude: 11,000 ft. to 12,559 ft. back to 11,000 ft.
Khulara to Dhak Village/Tapoban and drive to Joshimath/Auli. Day 6: Drive to Dehradun. Reach by early evening.